Men's Jewellery	There are 27 products. Sterling silver Ortak kilt pin with small cross detail. Dimensions: 81 x 26mm. Ortak - B51. Supplied in a deluxe Ortak presentation box. Sterling silver Celtic sword kilt pin. Dimensions: 71 x 28mm Supplied in a deluxe Ortak presentation box. 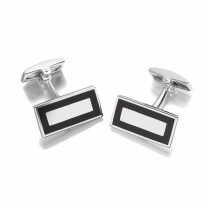 Rectangular shaped cufflinks with black onyx inlay and hinged bar fitting. Hoxton gents&apos; jewellery is crafted from sterling silver with rhodium plating. Supplied in a Hoxton presentation box. Rectangular shaped silver cufflinks with cats eye inlay and hinged bar fitting. Hoxton gents&apos; jewellery is crafted from sterling silver with rhodium plating. Supplied in a Hoxton presentation box. Oxidised cufflinks by Tianguis Jackson. Sterling silver. Supplied in a Tianguis Jackson presentation box. Sterling silver thistle top sword kilt pin. Dimensions: 65 x 19mm Supplied in a deluxe Ortak presentation box. Sterling Silver Double Curb Link Bracelet - 8"
A stylish high quality sterling silver double curb 8-inch bracelet with lobster catch fitting. Cushion shaped silver cufflinks with brown cats eye inlay and hinged bar fitting. Hoxton gents&apos; jewellery is crafted from sterling silver with rhodium plating. Supplied in a Hoxton presentation box. A stylish pair of Fred Bennett solid silver cufflinks , each set with a single square cut blue sapphire. Hallmarked silver. Supplied in a Fred Bennett gift box. Caps of solid white gold decorate the ends of these yellow gold barrel-style cufflinks. 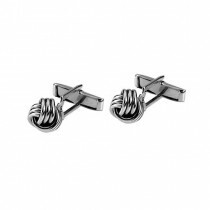 Each cufflink is 20mm long and features an easy-to-use T-bar fitting. 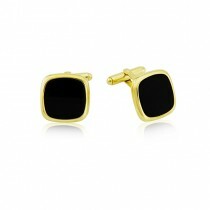 These square cushion shaped gold cufflinks have been inlaid with contrasting pieces of highly polished onyx. 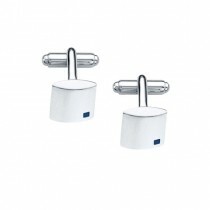 Each cufflink measures 15 x 15mm and features an easy-to-use T-bar fitting. 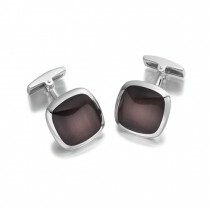 Barrel shaped solid silver black onyx cufflinks with hinged bar fitting by Hoxton London. Supplied in a Hoxton presentation box. Rectangular shaped silver cufflinks with black onyx inlay and hinged bar fitting. Hoxton gents&apos; jewellery is crafted from sterling silver with rhodium plating. Supplied in a Hoxton presentation box. A sterling silver 20-inch panza curb chain. A sterling silver kilt pin with braided detail, measuring approximately 10cm in length. 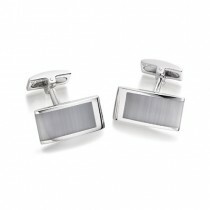 A pair of plain square silver cufflinks with hinged bar fitting. Hoxton gents&apos; jewellery is crafted from sterling silver with rhodium plating. Supplied in a Hoxton presentation box. Rectangular shape silver cufflinks with marcasite and hinged bar fitting. Hoxton gents&apos; jewellery is crafted from sterling silver with rhodium plating. Supplied in a Hoxton presentation box.